It a time of year when we need those jaded palates revived – not too easy at the moment! I’m thinking hearty soups and slow cooked stews, lovely fresh fish with delicate sauces … Do seek out some seasonal produce whether you’re cooking or eating out! A big thank you to Archie from Earthy for his round up on What’s in Season. The game season is largely coming to an end and some bargains are to be had. If you have some room in your freezer stock up now! Get along to your local fish shop and try something new. If you’ve not seen it, catch up on Hugh Fearnley Wittingstall’s Big Fish Fight. Dabs, sole, mussels, wild duck, partridge, rabbit, hare, pork, beef, lamb. As we draw ever closer to the ‘hunger gap’ those bleak weeks of late February & early March when nothing is sprouting yet and stores fruit and veg are almost totally depleted it is essential to celebrate the last hurrah of local veggie goodness before the joyous outpourings of spring. Despite the snow (which has knocked favourites like Cauliflower and Shallots from our local list to the continental one) there is plenty of hearty fresh veg in Scottish fields and the shelves of Earthy right now. Some of it takes a bit work, but always gives back in flavour and goodness more than you have to put in. Carrots – Look for dirty carrots since they keep better (the dirt holds in the moisture & stops them drying out). That said we do wash our rainbow carrots – a mix of purple, white and orange – since they are too pretty not to. We just make sure to sell them fast! Kale – Often referred to as a superfood, kale is loaded with vitamins & minerals. Go fusion and shed it through a stir fry in the place of pak choi or look out for the soft leaved variety ‘Cavolo Nero’ and fry in olive oil & garlic for a classic Italian side. Perpetual Spinach – Pretty much the last leaf of the year, it needs cooked but along with ricotta it makes one of the world’s great vegetarian lasagnes. Turnips/Swede – As we come up to Burns Night, must I really suggest what to partner your Neeps with? Brussel Sprouts – Still going strong, get a bit more adventurous with your sprouts post-Christmas. Think of them as baby cabbages and let your imagination take you. Parsnips – Roasted parsnips are an absolute joy. If you find them a little tough at this time of year, just cut out the core and they will soften beautifully. Celeriac – A fellow Earthling put me on to Celeriac Schnitzel which is a total taste revelation. They knock potato croquettes into a cocked-hat. Cabbages – Lots of varieties but look out for Savoy and January King – Savoys are practically built for bad weather so look out for some really beauties. Lucskos Kaposzta an Eastern European pork and cabbage stew makes it the star of the show. 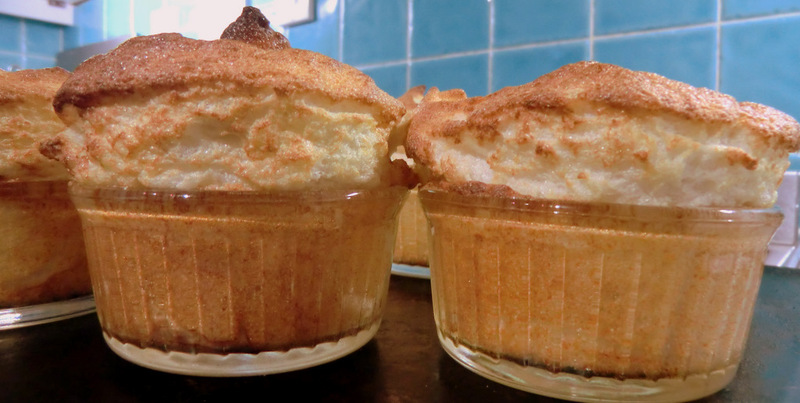 Do try this Pear Souffle recipe from Rick Stein – really easy! Look out for Seville oranges. Not just for marmalade, these are wonderful in savoury sauces. 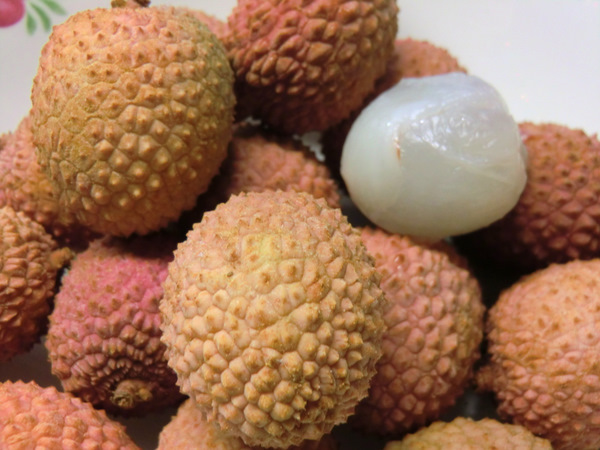 Look out for lychees, pomegranates and blood oranges too. Open 7 days a week 9-7 weekdays, 9-6 on Saturday and 10-6 on Sunday.